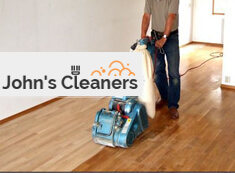 Your wooden floor is scratched, dented and has lost its lustre? If the answer is yes, you’re probably thinking of installing a new one. Well, we’re here to tell you that won’t be necessary. You’re probably wondering why so? Because our company in Clapham SW4 can always restore it for you as floor sanding is the cheaper alternative. Our team of professional floor sanding technicians specialises in restoring old floors and uses the best sanding machines and equipment. The company is respected and praised throughout the area both for its high-quality work and its low prices. We, at our company are good at what we do and our regular customers know it. Floors are our greatest passion and nothing pleases us more than giving your old floor a new shine. 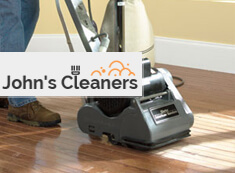 With our trained and certified experts, your floor is in good and reliable hands. Book us for an appointment to see for yourself! Floor sanding is a complex process. That’s why our team is always punctual and starts by explaining everything step by step. They begin by examining your boards and blocks. If there are any protruding nails or old staples, they should be removed. Many boards require sanding down to bare wood. If there are any gaps, they are filled. Then our workers can proceed to sand the floor. Afterwards our team applies three coats of water-based wood varnish. Each coat of varnish should be left to dry for roughly an hour before the next one is applied. Once the third coat is applied your floor will look as good as new. Apart from sanding, our company offers floor polishing and dust removal to make sure you’ll find your home the way you have left it. Don’t waste time and money on installing a new floor. If you live in SW4 Clapham contact us on the phone to book us or to discuss requirements and measurements for free. We guarantee you will be impressed with our excellent floor sanding services!